Making a change to our living situation is something we all think about. We are often interested in moving house, remodelling our current home, or a number of other techniques that result in shaking things up. Often, the first thought is to relocate to a new place, but home remodelling has a variety of benefits that make it by far the better choice in a lot of cases. 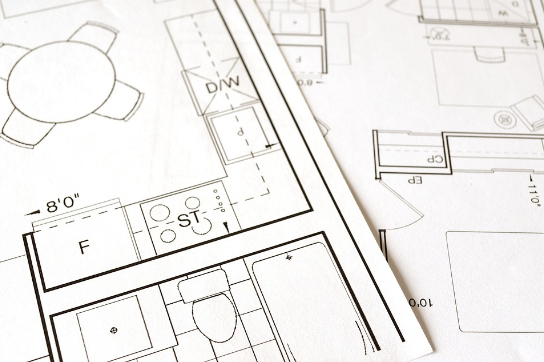 Here at Carroll Construction Solutions, we have helped realise the home remodelling visions of hundreds of clients, so we understand why the process is beneficial. As a result, we’ve put together a few of the main points for consideration in our latest blog post. Firstly, expansion, which is one of the most common reasons for wanting to move house, can be achieved within your current home in a host of different ways thanks to home remodelling. The interiors of our homes are often not used to their full potential, yet this can be tackled by redesigning your space. This could range from removing internal walls to open up the space, to adding an extension to create more space altogether, but it is a very effective way of making your home more spacious and comfortable. Tastes change and trends fall in and out of fashion, which means you might be interested in improving or editing the style of your home in order to better suit you at the time. You might even be interested in turning your home into a classic space that will never go out of style, and home remodelling will allow you to both of these. You can improve form and function with home remodelling and reimagine your space as permanently or superficially as you wish. Increasingly, over the past few years, we’ve become more self-aware in terms of how we use energy, and things look set to continue in this vein. Remodelling your home can help improve efficiency by implementing modern technology – such as improved insulation, double, or even treble, glazed windows and much more. As well as cutting down your impact on the environment, you will also see a reduction in your energy bills as your home remodelling essentially begins to pay for itself. The housing market is constantly growing and, as house prices rise, it is a good time to get ahead of the game and increase the value of your home. A remodelling can help to do this efficiently, should you decide to move in the future. This can also have a domino-like effect as houses in the area are likely to follow suit, which has a positive impact on the overall value of properties in the area. Home remodelling makes a lot of sense and can present a range of benefits that are not as easy to access with other options. When recreating your existing space, there are further benefits than we have even discussed in this blog: preserving the memories in your current home, staying integrated in a community, and reducing the hassle of uprooting your family. Here at Carroll Construction Solutions, we provide a range of home remodelling services that can help you improve your home. We are a local business dedicated to providing a service that fulfils your requirements for the project. If you would like to hear more about us or enquire about your upcoming project, please reach out by calling 020 8930 8188 or filling out our simple contact form.